Put life back into your jewellery with this Professional home jewellery cleaning kit. 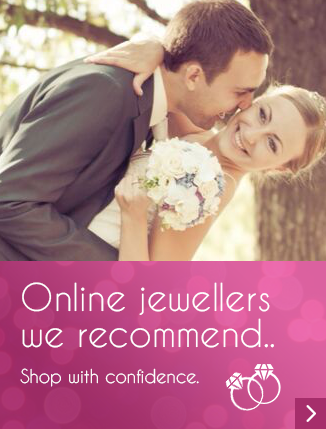 If you want your diamond jewellery and precious metals to look brand new then we can help you out. Check out these 9 amazing tips from the Connoisseurs jewellery cleaning experts. Before dressing, take a look at your jewellery. 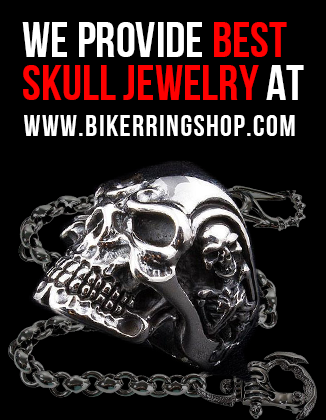 Check if the rings, earrings, bangles or pendants need cleaning or possibly need a quick touch up. If time permits, clean your jewellery with a Connoisseurs Jewellery Cleaner. Or, if time is short, give your jewellery a quick touch-up with Connoisseurs Jewellery Wipes or Connoisseurs Quick Jewellery Cleanser. Cleaning with any of the above products will make your jewellery sparkle like new. Think about your cherished diamond ring. You probably wear it every day, and perhaps have wondered, what is the best way to clean a diamond ring? 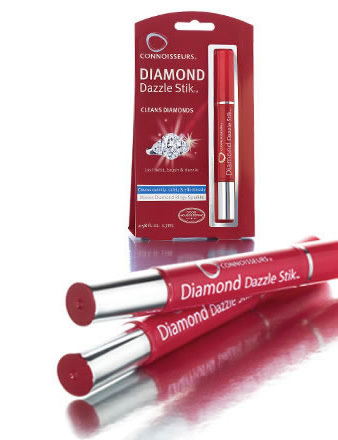 Connoisseurs Diamond Dazzle Stik cleans diamonds so they sparkle like new. Diamond Dazzle Stik is easy to use, portable & attractive. DIY jewellery cleaner using household cleaners, such as toothpaste, ammonia and glass cleaners, are not effective nor are they safe for cleaning jewellery. Cleaning products made by Connoisseurs are specially formulated to safely clean jewellery. Choose the proper jewellery cleaning treatment. Professional jewellers recommend having a selection of jewellery cleaners on hand to clean gold, silver, diamonds, precious stones, pearls, delicate or costume jewellery. Visit our jewellery cleaning chart, which shows the appropriate jewellery cleaner to use the type of metal and gemstones. Clean your jewellery like a professional with Connoisseurs jewellery cleaning products. For generations, professional jewellers have been using Connoisseurs products to clean jewellery and watches. They know our cleaners are formulated to safely and effectively clean every type of jewellery product. Most Connoisseurs products bear the “Good Housekeeping Seal” – your assurance they are safe and will perform as stated. We recommend travelling with a jewellery cleaner for quick touch ups. 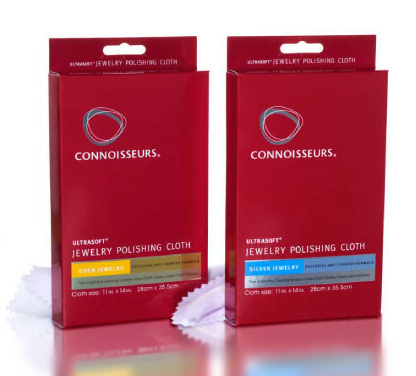 Connoisseurs Jewellery Wipes or the Diamond Dazzle Stik are easy to use, safe for cleaning your jewellery and are compact so they fit in your purse, glove compartment or carry on luggage. Avoid tangled necklaces and unwanted scratches on your jewellery by keeping it safe and secure in one of the Connoisseurs soft-sided jewellery organisers. The Clutch or Carry All are ideal for travelling or jewellery storage at home. Both are designed to provide the security of knowing your valuables are neatly tucked away in individual compartments. What is the best way to clean silver jewellery? Silver jewellery has its own unique jewellery care needs, especially considering that tarnish builds up over time. Connoisseurs Silver Jewellery Cleaner is a liquid dip formulated to safely clean and remove tarnish instantly from sterling silver jewellery such as bracelets, chains, rings, earrings and other items that are not embellished with stones or painted/antique pieces. A convenient way to clean and polish silver is with a Connoisseurs UltraSoft® Jewellery Polishing Cloth. It works nicely on less intricate jewellery items (including watches) whether silver or sterling silver. The Connoisseurs silver jewellery polishing cloth contains an exclusive formula that removes tarnish and leaves behind a protective shield to discourage tarnish from reappearing while renewing silver’s unique lustre. When using Connoisseurs jewellery cleaning products, be sure to read and follow instructions as provided. Proper use will ensure the best results and appropriate care of your jewellery.